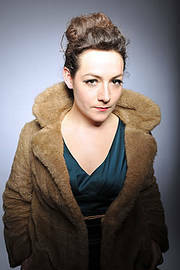 This year Jess has performed on Stephen K Amos' new BBC Radio 4 show , she's appeared on BBC Breakfast (BBC1) four times this year, and she has supported TERRY ALDERTON on tour accross the UK, as well as supporting MICKY FLANAGAN'S work-in-progress tour across London. Jess is a writer on Channel 4's Stand Up For the Week and on BBC Radio 4's 'The Now Show' and is developing various TV pilots, a number of shorts and a radio play at present, in addition to writing set-pieces for other comedy actors. When can I see Jessica Fostekew?